Now that I have recovered from the flu, I have a chance to share the last few themes we have been working on in my preschool classroom. 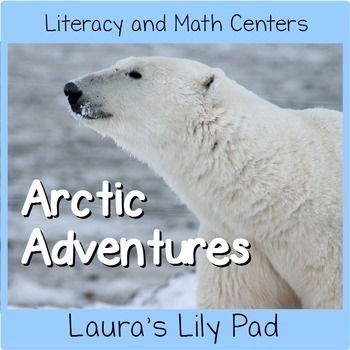 This year we focused on Polar Animals instead of just penguins, so I was able to pull out some of my favorite Arctic Animal activities as well as penguin activities. For dramatic play we started with a Polar Expedition with a tent and ice fishing. The fishing poles (referral link) above are what I used. I laminated fish that I cut using my Cricut and then put a staple or two in each so that they could be caught with the magnetic poles. 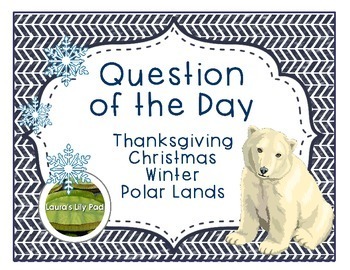 Photos of polar animals were placed around the area with a laminated checklist on clipboards. I found several of the printables for this dramatic play at Sparklebox. Students used binoculars (referral link) to find the animals. Our binoculars are fairly similar to the ones at the Amazon link. We also had dollar store gloves to wear while doing everything. The more labels for where everything goes, the better. I usually try to have the word and the photo or matching clip art. If there are not labels things soon get very messy and clean up takes forever. My dramatic play area has a small bulletin board that I change out to match the area. I managed to find a cute border for it at Dollar Tree that had polar animals on it. The foam snowflakes also came from Dollar Tree. During the next week we switched out what we were searching for and added some more photos to the board. I was happy to get to pull out my Arctic Measurement Center this year. My students love the snap cubes and will build a tower as long or tall as the arctic animal and then count them for me. I laminated the pages back to back to save on laminating sheets. I have discovered that the linking cubes are just as wide but make slightly shorter towers because of the way they link together. I still sometimes use them for variety but keep that in mind if I want to have my students fill out the counting sheet. 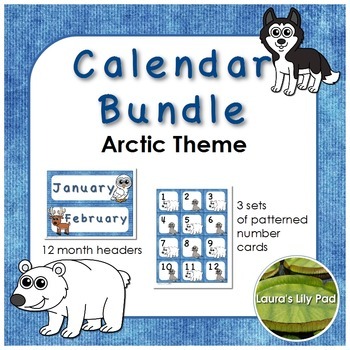 This Arctic Animal Count and Match Game is one I was happy to pull out again. My assistant a few years ago worked very hard getting this one together for me. I like that the clips have the animals to match up with the cards along with the counting. The Penguins on Ice (referral link) is from Lakeshore Learning. My students loved using this set to sort by color and to make patterns. The ice bars connect in two ways, which was a great discovery for my kids. I had my Polar Path Game all ready to play and then we had just enough weather to cancel school. Students draw a card and then move to the letter the animal starts with to get to the igloo. The game comes with people that you can print out to play the game, or you can use any other small token to play. We did have time to use this game, Pop N Drop Penguins (referral link). Students push down the center to make the die pop. They move their penguins all the way around the board. There are extra directions for making penguins fall through the bridges, but we did not use those this time since students mostly played independently. I found this free Spin 20 game when I was perusing Pinterest. You can find it at The Printable Princess. I had some penguin and polar bear erasers that I think I got at Walmart several years ago that I used for this game. With preschoolers I find it is best to have pieces that won’t fall over or move easily when the spinner is attached to the same sheet where the pieces go. So I used to teach middle school when I first got out of college. We did a nonfiction unit on Antarctica and the students did a group project to draw a life sized penguin. They had to research more than one source and had a bunch of facts to go with them. I saved several of the penguins and have started pulling them out each year for my preschoolers to see how tall they are compared to a penguin. And this is why teachers save everything. Below are some things from my shop that I used but did not get photos of in my classroom.